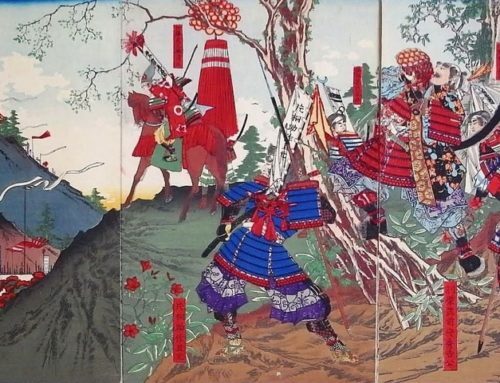 Soga no Iruka was the son of the powerful statesman and Minister of State, Soga no Emishi, who had orchestrated the installation of the puppet Emperor Jomei on the Imperial Throne, despite Prince Yamashiro, son of Prince Shotoku, being the favored heir to the late Empress Suiko. 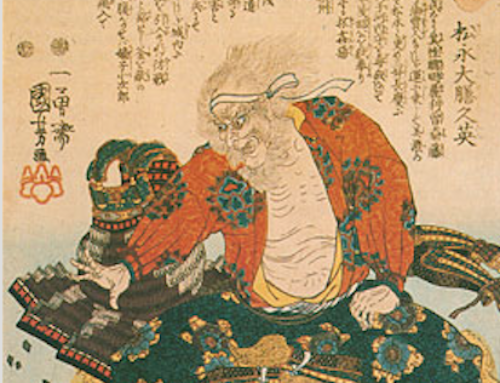 To maintain his father’s influence, and influence that would one day become his, Soga no Iruka attacked Prince’s Yamashiro’s estate in 643, leading to the death of the Prince and his family. 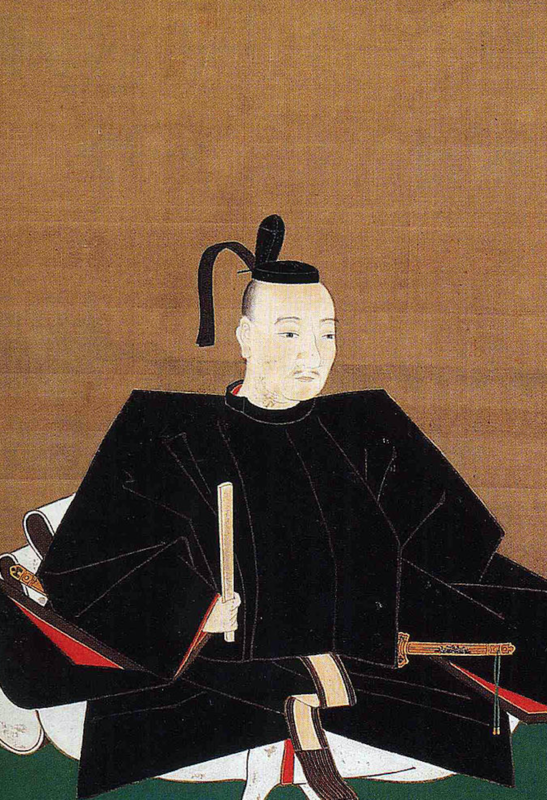 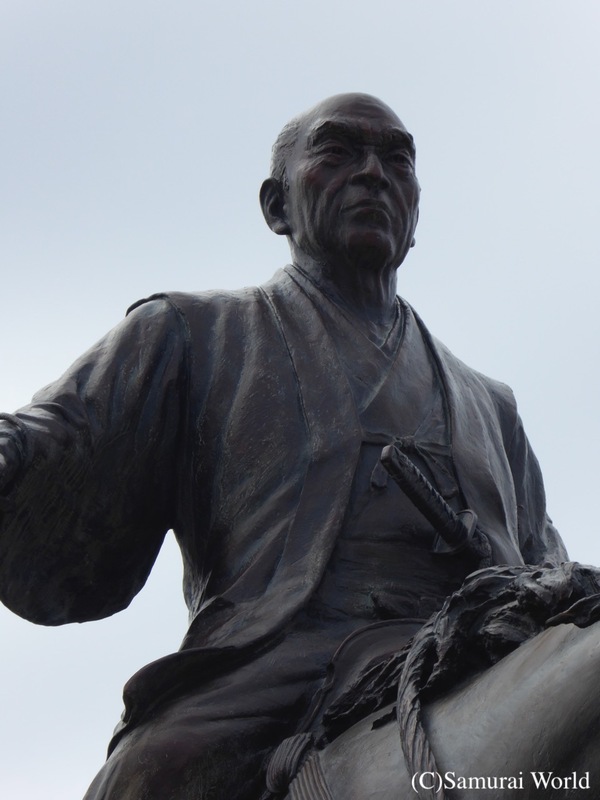 To remove the Soga clan from power, and restore the rightful lineage to the Imperial Throne, Statesman Fujiwara no Kamatari and Prince Naka no Oe, (later Emperor Tenji) planned a coup d’etat. 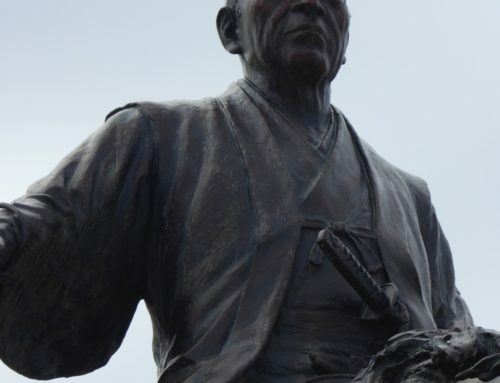 A spear was smuggled into a hall within the Imperial household. 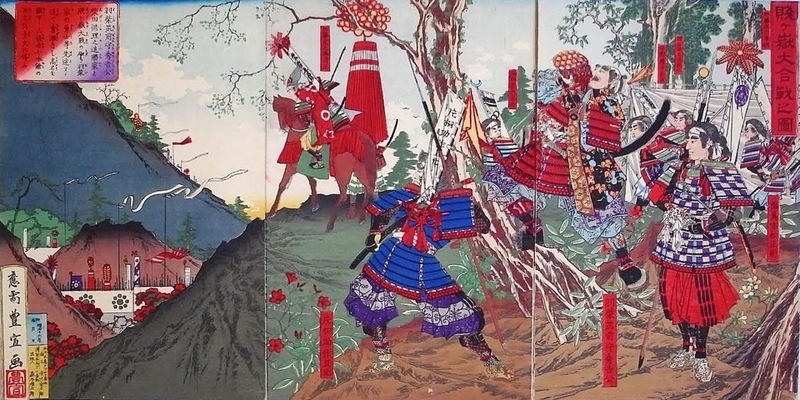 Gates surrounding the palace were closed, a number of guards bribed, and four warriors were instructed to destroy Soga no Iruka. 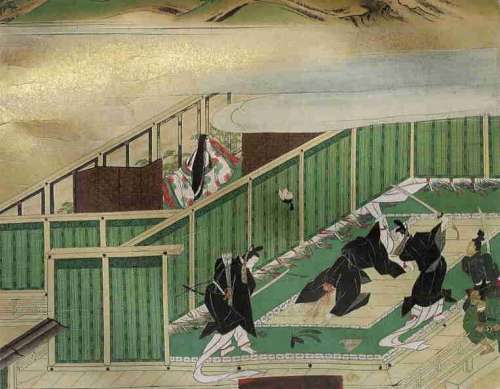 The planned assassination of Iruka took place during a court ceremony attended by Empress Kogyoku. 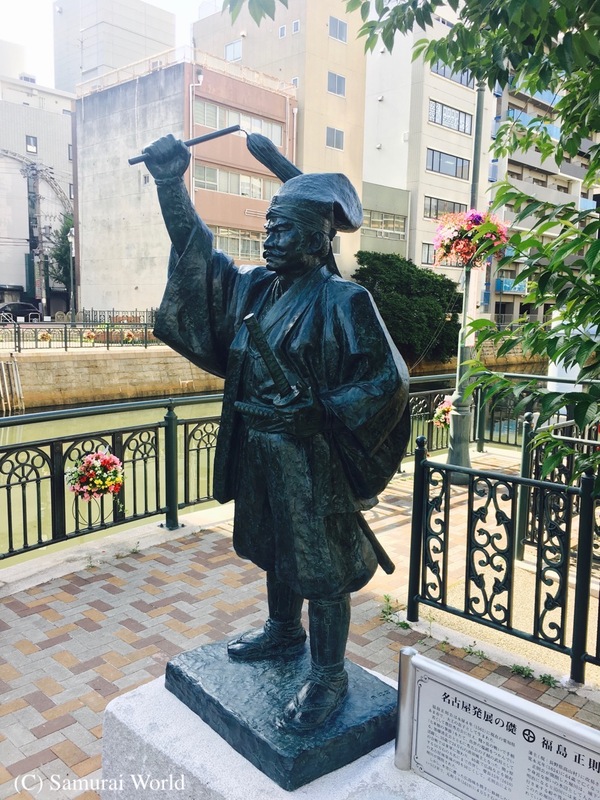 At the allotted time, the four men tasked with the assassination failed to move, and so Prince Naka no Oe himself grabbed the spear and severely wounded Iruka. 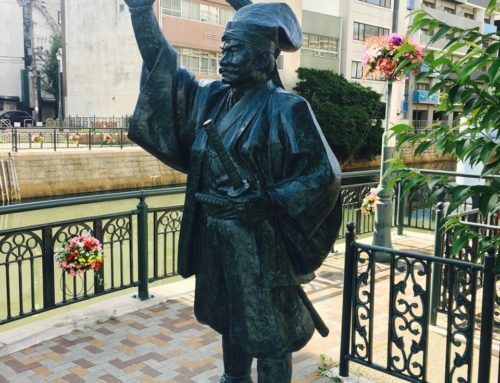 Protesting his innocence, the bleeding Iruka begged the Empress to hold an investigation, while Prince Naka no Oe explained his case before the Empress. 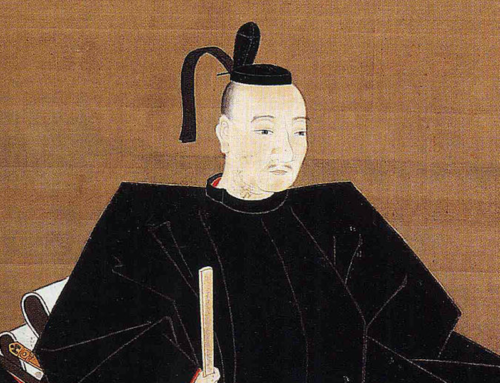 The following day, Iruka’s father, Soga no Emishi committed suicide by burning his residence and in doing so destroying a number of Imperial treasures, including the Imperial Diaries, the Tennoki, and other important manuscripts. 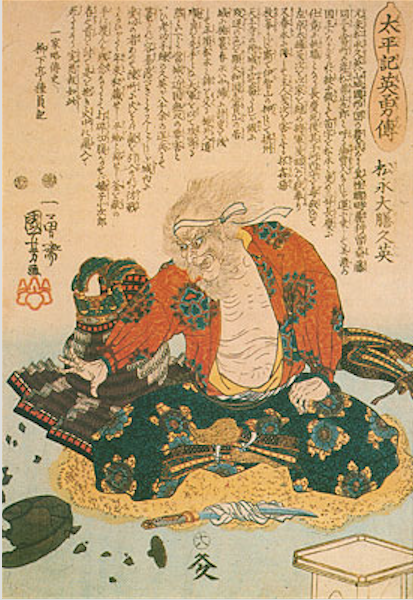 His death also brought the main line of the Soga clan to an end.